How Much Does It Cost To Study In China? Please use a currency converter to find out what the below costs are in your own currency. There are many variables affecting this answer but an approximate cost (for tuition fees, accommodation & living expenses only) would be $12,000 to $15,000 per year if a student is staying in private accommodation & they're attending the Shandong University. However, we can apply for university accommodation if available (this should reduce the overall costs). -- Fees for the Shandong University is approximately RMB45,000 (i.e. 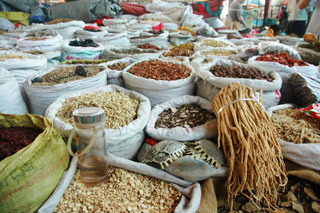 45,000 Yuan). -- Accommodation and living expenses are roughly RMB2,000 - 3,000 per month. You might be able to apply for a dorm room on campus but you're not guaranteed of getting it, so you need to be prepared to stay in private accommodation on your own (or share it with friends and it'll be cheaper). -- Other small fees for textbooks, Visa, residence permit, mandatory insurance and a medical examination shouldn't be more than RMB4,000 per year (the medical examination is only done in the first year). -- When staying in private accommodation, you'll need a laptop & various appliances like a microwave, small fridge, toaster, water dispenser, etc. so budget for those once-off costs. Some costs may be split if you have roommates. The dorm rooms on campus are not recommended as they're small and there is a common kitchen, bathroom & toilet on each floor - it's generally not very clean. Once again, you may not always get place in the dorm rooms so you need to be prepared to stay in private accommodation. Keep in mind that costs may change based on the exchange rate & the figures we mention are only an estimate. I'm Interested in Your Admission Package, So How Do I Pay For It? You can pay us through PayFast - a leading payments processor in South Africa (payment is only accepted once our legal document is signed). PayFast verifies payments in record time and they allow you (or anyone around the world for that matter) to make online payments from the safety & comfortability of home. 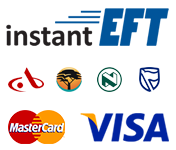 Electronic Fund Transfers (EFTs) are only accepted from the 4 big banks in South Africa (Absa, Nedbank, FNB and Standard Bank) - South African applicants are encouraged to pay via an EFT (through PayFast), if possible, so it verifies quickly (you need to have Internet banking to complete the EFT). International applicants are encouraged to pay by utilizing a Visa or Mastercard credit/debit card. Note: We will send you an email payment-request officially from PayFast - click through from that email to complete the payment. You may register on PayFast to complete the below payment steps. 1 - International applicants (that aren't from South Africa) will then need to pay using a Visa/Mastercard on the official PayFast website (the payment amount you'll see will be stated in South African Rands - don't worry about the currency, you can still use your Visa/Mastercard credit/debit card). 2 - South African applicants, you are encouraged to pay via a PayFast EFT (remember, Electronic Fund Transfers are only available to South Africans that have Internet Banking and use either of the 4 big banks stated above). Other payment methods might be possible but we will not be dealing with cash directly (for traceability & record keeping purposes). 3 - If you're a South African applicant and you use a different bank or you don't have Internet banking, you'll need to pay using a Visa or Mastercard by clicking through from the PayFast payment-request email that we send you (in the same way that international applicants are advised to do so above). Remember, we'll send you an initial PayFast payment-request for 50% of our admission package fee - it's the mandatory deposit required before we process your application. The remaining 50% balance must only be paid once we send you a notification of your acceptance. We refund the majority of your deposit if you're not accepted, less approximately $200. What Food, Clothing, Etc. Do I Need To Take? Students can take along spices, cereals, sweets, chocolates, biscuits, sauces, tea, coffee and things like that as the same brands that are in your home country, aren't available internationally. You can find your general vegetables and whole foods in supermarkets though. Students may try to freeze and take along meats that are marinated and prepared at home but please keep in mind - when travelling to foreign countries, you are not officially supposed to take along edibles (so although it rarely happens, there is a chance that things like meat, cheese, etc. could get confiscated). Most importantly, take along any medicines that you might need because trying to explain your requirements to a doctor/pharmacist, that doesn't speak English, may be difficult in some situations. In terms of clothing, during the Winter months the temperature falls well below zero so it's vital that students buy thermal gear before leaving (you may buy it in China but it will be very difficult to walk outside in cold months if you don't have any warm gear). You may find yourself needing to wear 3 layers of clothing to keep warm so additionally, buying gloves, gear to cover up your face/neck and very warm socks will serve you well. In the Summer months, it does get very warm so you need clothes for the Summer weather as well. Also, students should get a laptop for studying purposes and to communicate with family back home. What Else Must Be Done Before Leaving? It's important to take the flu vaccine and any other relevant vaccines to prevent you from getting sick during your studies in China. Also, you'll need to get your Visa for China before leaving your country - we'll send you the relevant forms only if you're accepted into the university. Lastly, open up a bank account in your home country that allows for your parents/sponsors to deposit funds so you can transact abroad. For example, South Africans may open up a Capitec or Bidvest account in order to obtain a Visa/Mastercard debit/credit card that may be used abroad. International applicants should open a bank account in their home country, that allows them to use a debit/credit card overseas (or in China specifically). Which Universities Do You Apply To? Currently, we make applications to the Shandong University but adding another university, in future, is a possibility. Also, if we find that one or more intakes, for a specific university, are not going to be open in future then we'll apply for the next intake which the university allows for or try and find an alternative university to apply to. However, students will be informed of this before the application is made. Are All Chinese Universities Recognized Internationally? Unfortunately, no. It's important for students to register at an internationally recognized university for their medical degree. Also, not all Chinese universities are certified to teach in English. When you apply through us, we register you at a popular university that many international students go to. Will I be Allowed To Practice/Work In Another Country, Once I Finish? The simple answer would generally be yes but there are futher details that are of importance. There are a number of Chinese universities that are recognized by international medical organizations but as you might expect, you would have to apply to write your medical board exams for the country you want to work in (in pretty much all cases) before you're allowed to legally practice in your chosen country after studying. However, always perform research on your own and check that the university you want to attend is professionally recognized by the World Health Organization (WHO) as well as your country-specific medical organizations - we obviously cannot make any guarantees/warranties about the current/future accreditations and/or recognition held by any university. How Long Will It Take Me To Complete A Medical Degree? It takes about 6 years to complete a Bachelor of Medicine/Bachelor of Surgery (MBBS) degree at the medical college in Shandong that we send students to (the final year is hospital training). Students may be allowed to serve their final year of hospital training in their own country but it will have to be arranged with the university in advance (if you serve your final year in a different country besides China, then most probably, you won't have to pay the final year's tuition but there are some exams to write and procedures you would need to follow - you may discuss it with the university when you're there). A Dental Surgery degree takes 5 years to complete (the final year involves clinical rotations). Do Many South African And International Students Study In China? There are hundreds with more coming in each successive year (as many as 150 foreigners have been accepted yearly in previous years). However, they are divided up among the universities so it's best to find out which institutions are the most popular so you aren't stranded with only a few other English speakers in a huge foreign university. Foreign students come from South Africa, Canada, USA, UK, Switzerland, Mauritius, Zambia, Nepal, India, Pakistan and more. Will I be able to Study in China in English? This is one of the most common questions and the simple answer is yes. Students are now able to study MBBS in China in English with even dentistry now being offered in English. However, it is important that your Chinese university be certified to lecture in English, as not all of them are. Do I Have To Learn Chinese (Mandarin)? Yes, you have to learn the language (likely to be Mandarin) at a basic level, usually during the first two years of the degree - it's compulsory for international students even though the course is taught in English. It helps students adjust as well as socialize in the country and it's important to be able to communicate with patients (when clinical classes require students to conduct work in local hospitals). Disclaimer: All names, logos, trademarks, and brands used on this website remain the property of their respective owners. Use of these names, logos, trademarks, and brands does not imply affiliation or endorsement.